The following information was gathered from many sources. This is my best effort to put it all together to create a history of the FAV. November 4, 1979. Unless you are a history buff or were a grown-up at the time, you probably don't know what happened on that date. 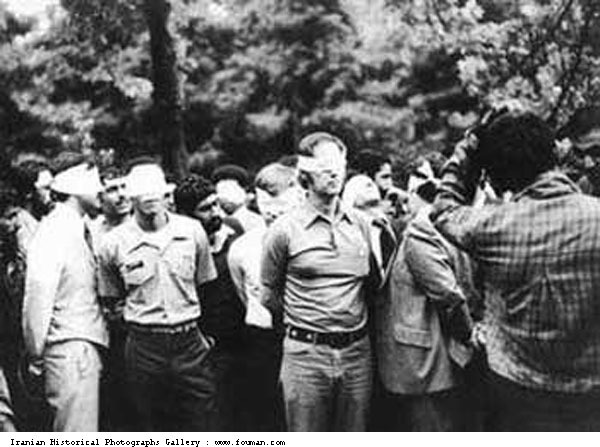 It is the first day of what is known as the Iranian Hostage Crisis. For the next 444 days, 52 Americans were held hostage by students and agents for the Iranian government. The Military realized they needed a smaller tactical unit that could be quickly deployed. However, in 1979 our enemy was not the Middle east, it was Russia. The Soviet Union had just invaded Afghanistan and the Cold War was at its height. It would be nearly a decade before President Reagan would tell Gorbachev to tear down the Berlin Wall. The Fast Attack Vehicle concept would be built around a European conflict. 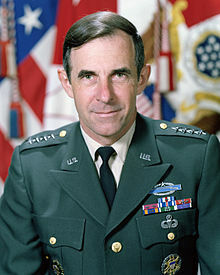 In June of 1979 General Edward Meyer became Chief of Staff of the Army. His first goal was to build a new light and fast mobile unit that used High Technology at it's core. He called on the 9th Infantry Division at Fort Lewis Washington to develop, test and deploy this new High Technology Light Division (HTLD). He wanted it done quickly without going thru the traditional government acquisition and testing process which normally takes years to complete. In December of 1981, General Meyer approved the HTLD Mission. HTLD must rapidly deploy to a contingency area, establish or expand a lodgment and defeat enemy forces ranging from light infantry and tank and motorized forces or be able to rapidly reinforce NATO. Since nothing like this had ever been done by the military it was not known what vehicles would make the HTLD project work. The M998 HMMWV was not a fast attack vehicle and neither was the M151 MUTT. A new vehicle had to be developed but it had to be created from off-the-shelf commercially available vehicles. A Military think tank was formed to come up with ideas. One of the members heard of a Navy project in San Diego that used radio controlled Volkswagen Sandrails as targets for its Naval Fleet off the coast of California. After 6 months of testing, the project was cancelled because the Navy ships could not hit the fast maneuverable sandrails. The Army had found it's Fast Attack Vehicle! The project went out to suppliers to provide a vehicle that could carry 2 soldiers, be fitted with several different types of weapons and go at least 80 mph in various terrains. Emerson Electric Corporation received the request and contracted Chenowth Racing Products to build a Sandrail/Dune Buggy that would fit the Army requirements. Emerson had been a sucessful defense contractor for many years and won the contract but not without some controversy and a law suit filed by other bidders on the contract. The Comptroller General agreed that Emerson had legally won the contract. See more here. Beginning in 1982 Chenowth built and delivered 120 sandrails based on the 2LW commercial model but with major modifications to the suspension and more supports built into the chassis. These changes were necessary to carry the extra weight of the weapons systems. The Army would make additional modifications to the chassis to make it conform to military standards. The electrical system would be changed to 24 volt and military grade lights and switches were added. Communications equipment, Antenna and intercom systems were installed. See the Photos section for examples. Several years of testing by the 9th Infantry Division at the Yakima Training Center at Fort Lewis culminated in two preferred configurations. 1. M2 50 caliber machine gun attached to the top rollbar and a M60D machine gun in the second seat position. 2. MK-19 grenade launcher on the top rollbar and the M60D machine gun in the second seat position. The 30MM Chain Drive Gun actually rolled the FAV over and the TOW required a 3 man crew per Army regulations so both were abandoned. During the years of testing various weapons systems another shortcoming was discovered. There was no room for storing additional ammunition or the soldier's personal gear. In January of 1985 the FAV's were overhauled at Fort Lewis and large side pods were added to resolve the storage problem. Several real-world tests were performed at other Army Bases and foreign countries. The FAV's were taken to Fort Bliss, Europe and South Korea and they performed above expectations. In tests against the M998 HMMWV, it outperformed the much larger vehicle in all but the SNOW covered ground test. However, the FAV was eventually deemed unsafe for combat due to its lack of armor plating and bullet-proof glass. Supporters of the FAV determined that survivability was accomplished thru speed and stealth and armor would just slow it down. In 1986 Congress withdrew all funding for the FAV. The M998 HMMWV would be the vehicle of choice for mobile combat units. The Chenowth Fast Attack Vehicle did not end its military usefulness quickly. Many were given to the Navy Seals who created a modified version with 3 seats allowing it to be used with the TOW. It was renamed the Desert Patrol Vehicle (DPV) and was used in the Gulf War. 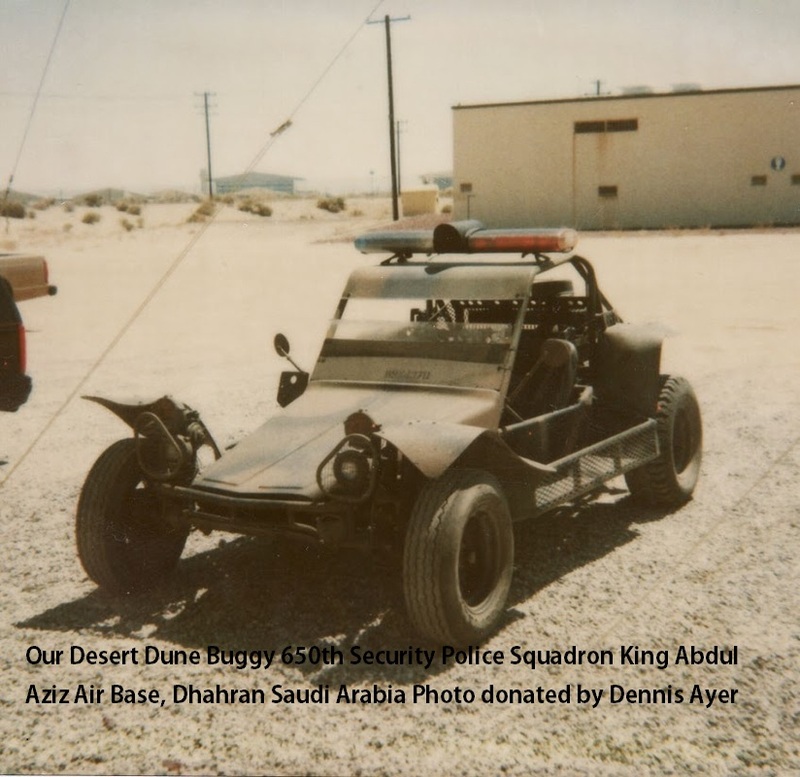 Several original FAV's went to War in Kuwait and Saudi Arabia as part of Operation Desert Shield and were used as security vehicles to patrol Army and Air Force desert bases and by the Military Police to guard the perimeter of POW camps. Several were given to the 650th Air Force Security Police Squadron when they deployed to Saudi Arabia as part of Desert Shield. 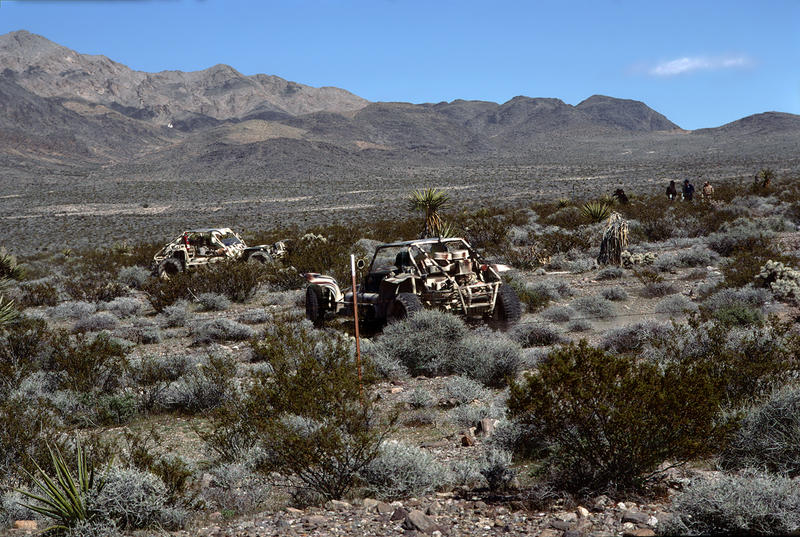 They were also used to patrol Nuclear power plants and other desert facilities in the U.S. Some are still in use. At least 2 (probaby more) were transferred to the Department of Energy and used for security at the Nevada Nuclear Test site. They were used by the Wackenhut Security Services Company. In 1989 Portugal acquired 6 FAV's from the U.S. ARMY and used them in active service until 2011 when they were moved to their Military Museum. For 22 years the FAV was a major part of Portugal's Paratrooper unit in the Air Force. Here is a article about the Military unit and the FAV from the Portuguese Website "OPERATIONAL". A version translated in English. Of the original 120 FAV's that were built by Chenowth, it is estimated that less than 20 still exist. Many are on display at Military bases and Museums. I have received emails from 2 current active duty Air Force personnel and they have seen a couple FAV's sitting in fields or in storage yards at Air Bases even today. I wish we could get them out and restore them.